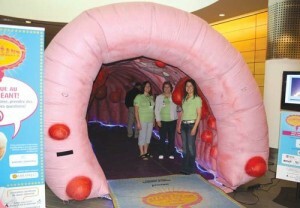 The Giant Colon just returned from Manatoulin Island, Ontario, where it greet 1217 guests! 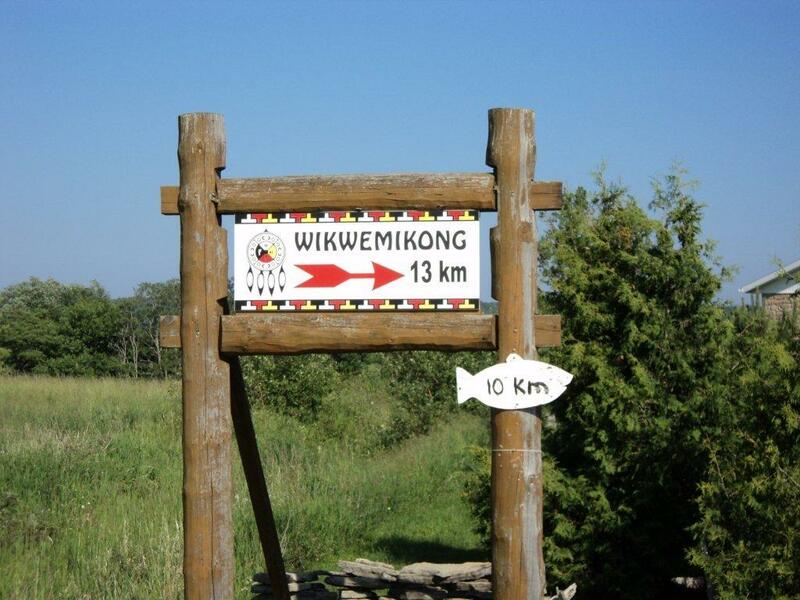 That’s roughly a third of the community’s population, including hundreds of students and their teachers. 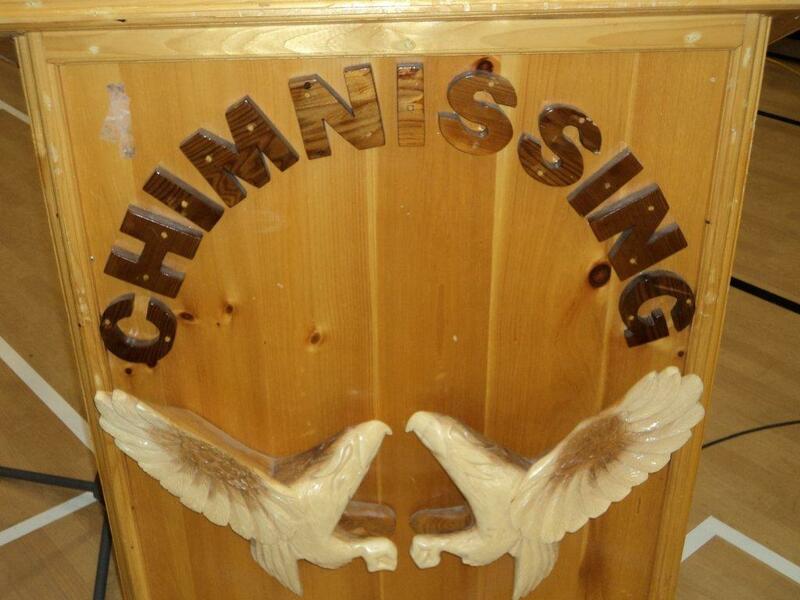 Also present were Chief Hazel, Health http://hesca.net/tramadol/ Director Mary Jo Wabano, the principal of Wasse-Abin and many Elders, who were given a tour in Ojibwe. 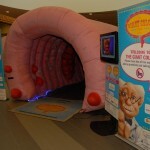 Our visit coincided with Senior Citizens Month. First Nations that live on the Island include Aundeck Omni Kaning (AOK), Sheguindah, Sheshegwaning, Whitefish River, Wikwemikong and M’Chigeeng. 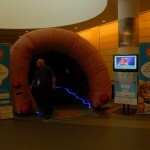 Could this be the start of a whole new leg of the Giant Colon Tour? We hope so! 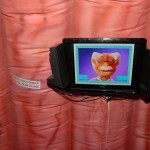 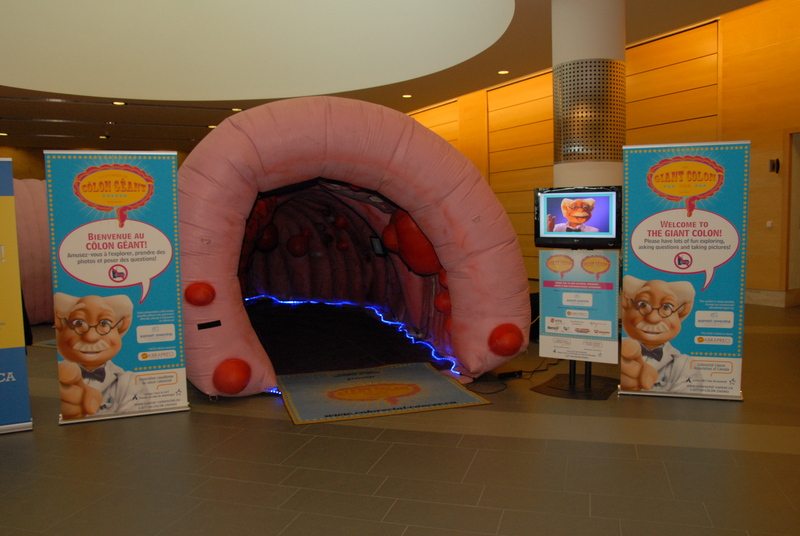 After the cut, enjoy a picture gallery of the many people the Giant Colon educated! 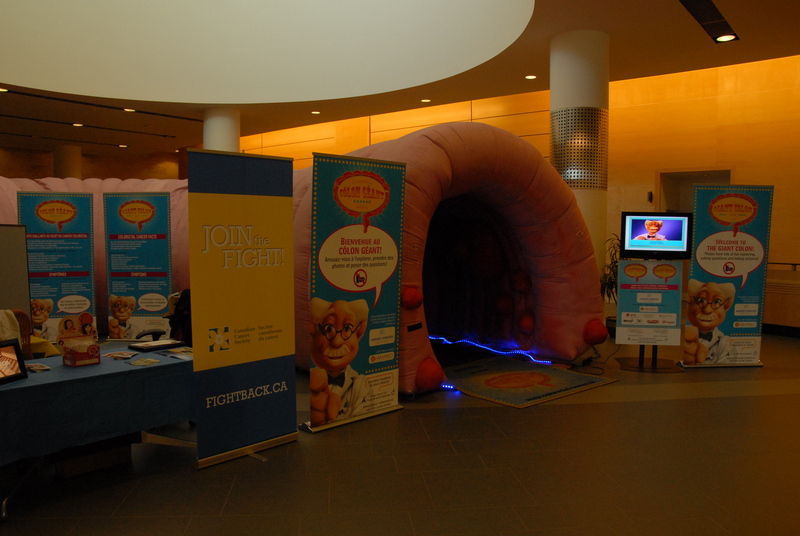 Troy Patterson photo - The Giant Colon was the highlight at the Bruce Power Wellness Fair last Wednesday, which was a feature of the Colorectal Cancer Association of Canada. 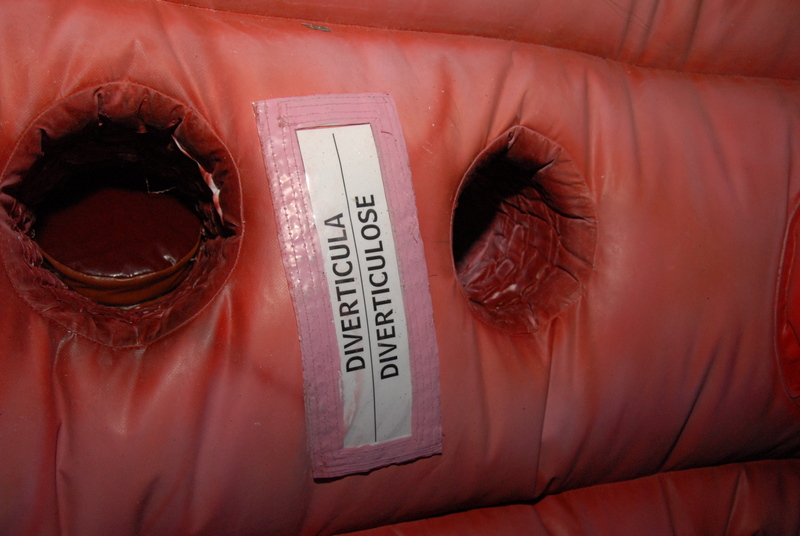 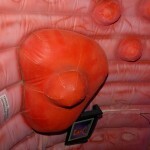 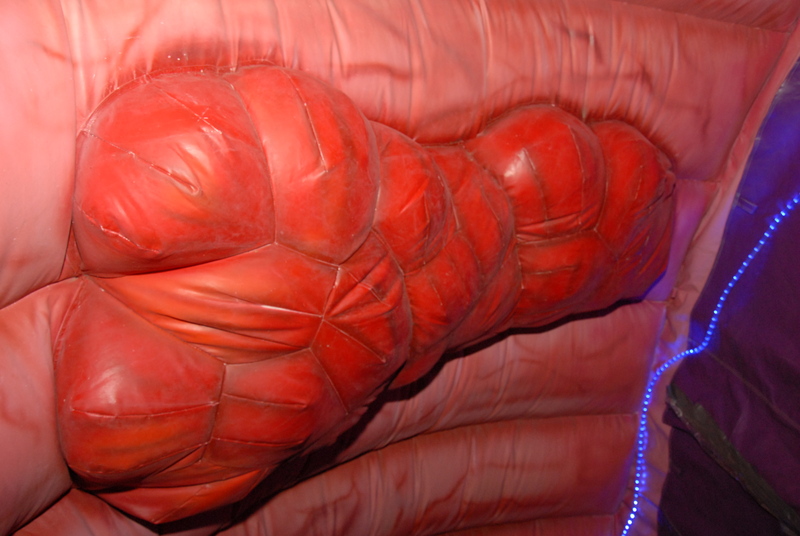 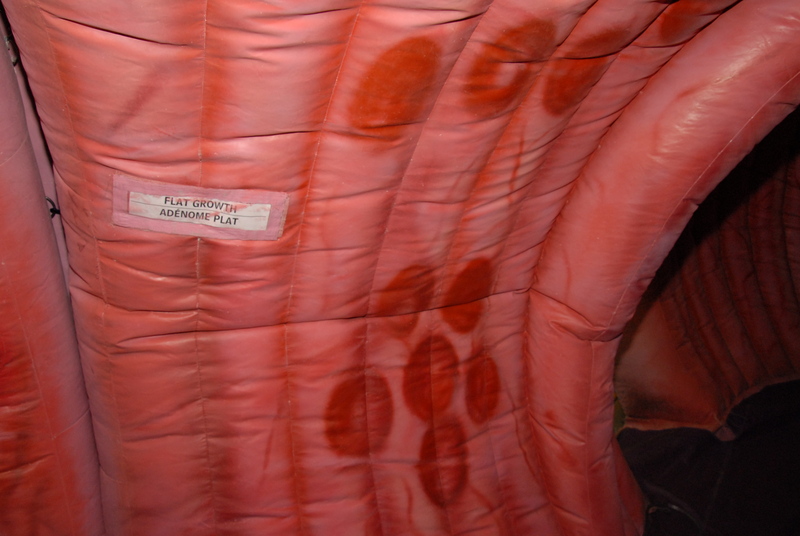 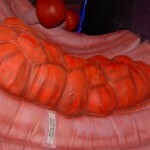 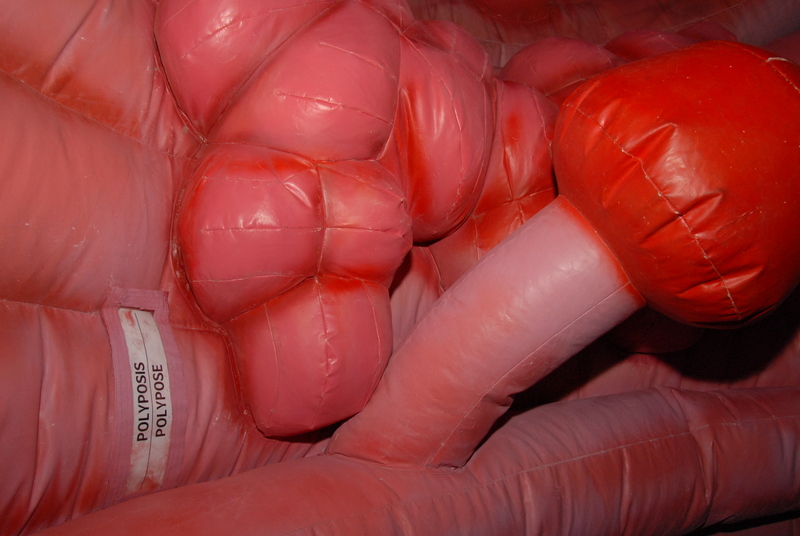 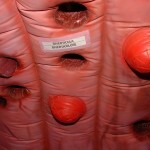 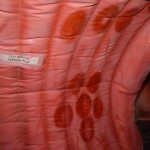 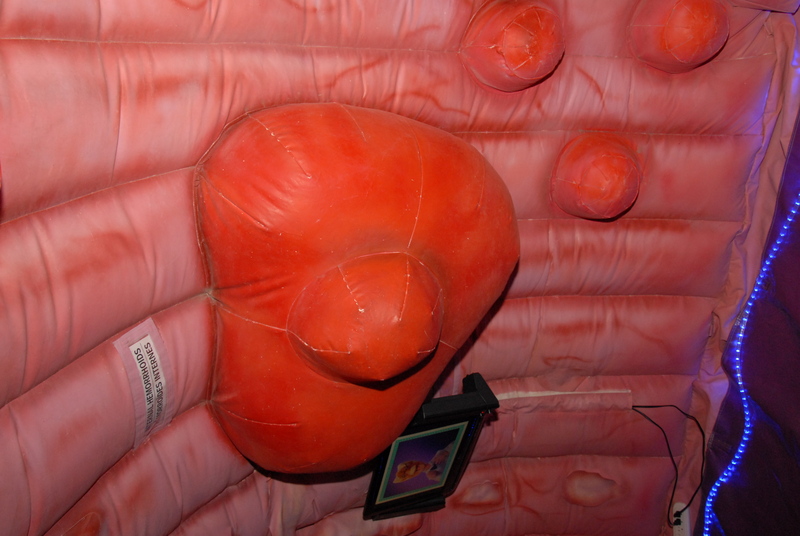 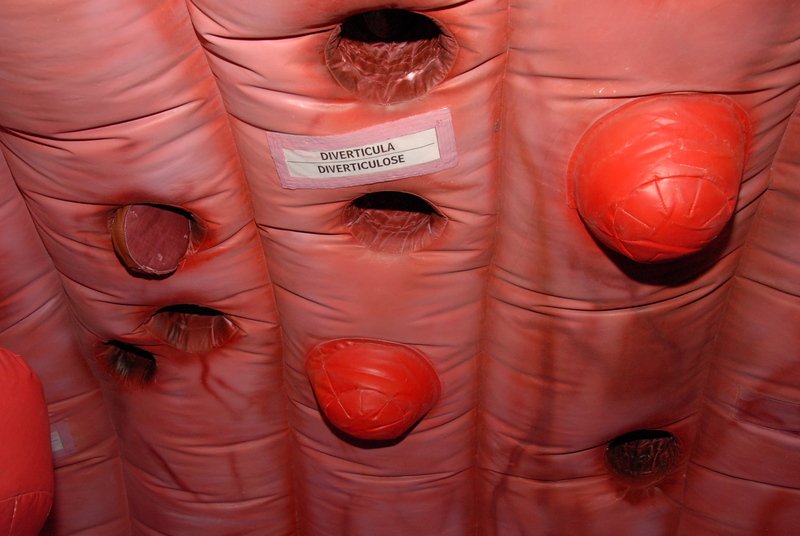 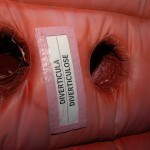 The walk-through inflatable featured examples of colon cancer, hemorrhoids, polyps and Crohn's disease. 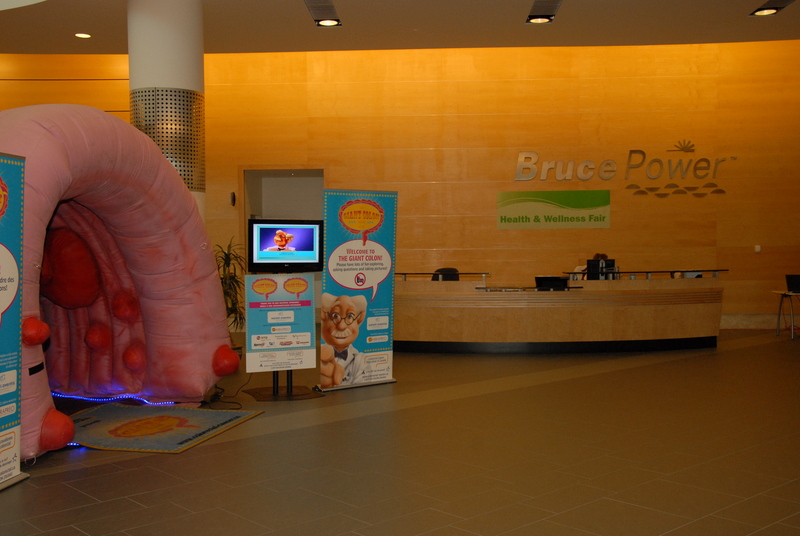 Ontario Power Generation's Bobbi McGregor and Bruce Power's Sue Goetz and Catherine Williams demonstrate the size of the display by standing just within it. 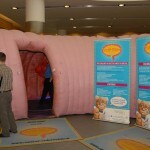 How colon-smart is your workplace? 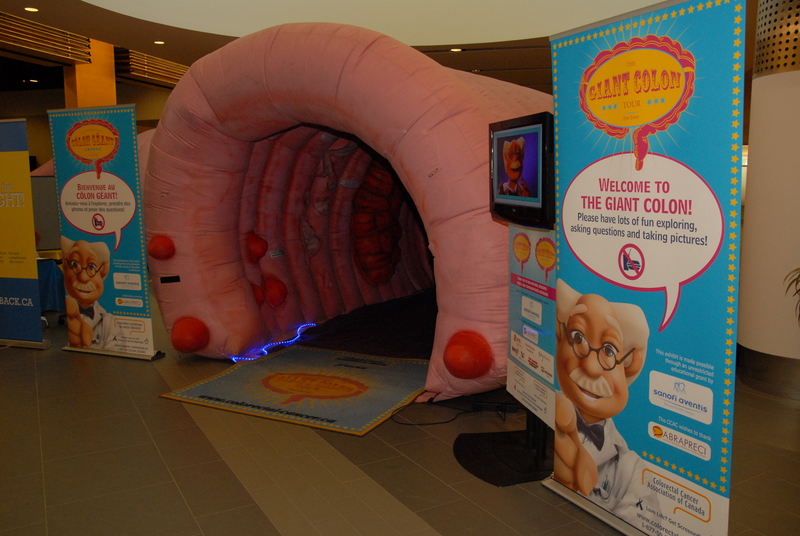 The Giant Colon Tour stopped in at the Bruce Power Health & Wellness Fair in order to raise awareness in an Ontario region with a 14% higher colorectal cancer rate than the national average. 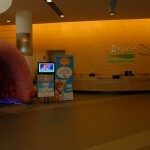 The event was a joint venture with Bruce Power and Ontario Power Generation, and it was an electrifying success. 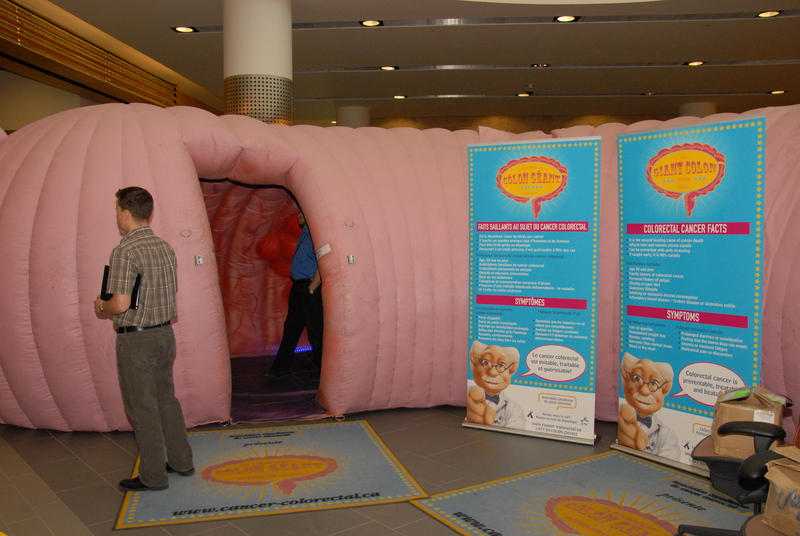 More and more responsible and health-conscious businesses are holding health fairs and information sessions just like this. 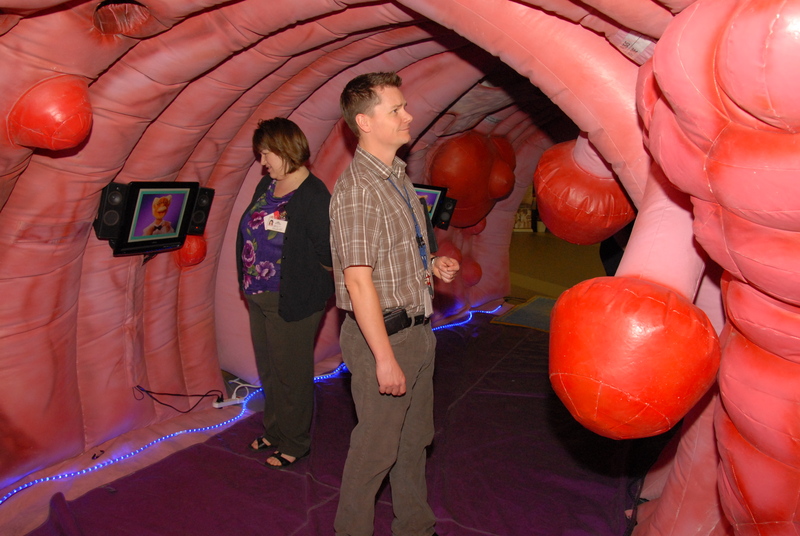 As a result, more and more men and women are being armed with the knowledge they need to prevent, treat and beat colorectal cancer. 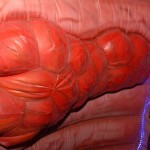 Kudos to the many Canadian businesses putting keeping their minds on our behinds! 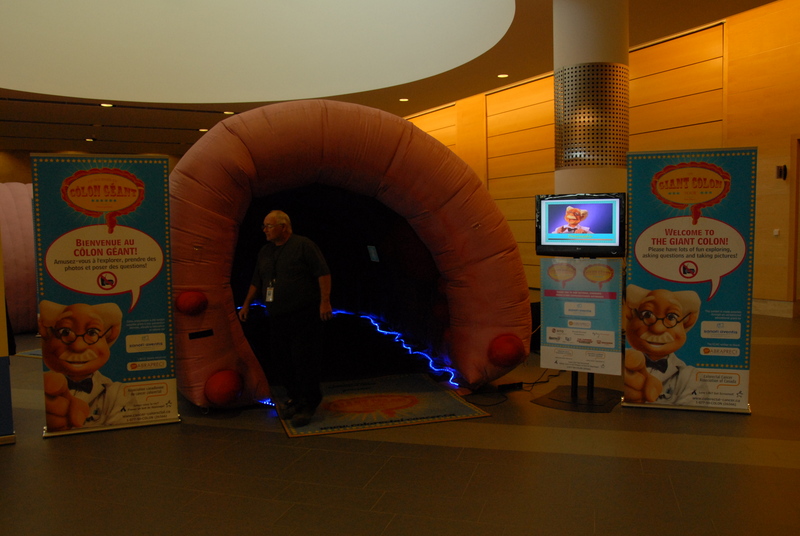 Click here to learn more about the amazing Giant Colon, and learn how you can bring it to your community or event. 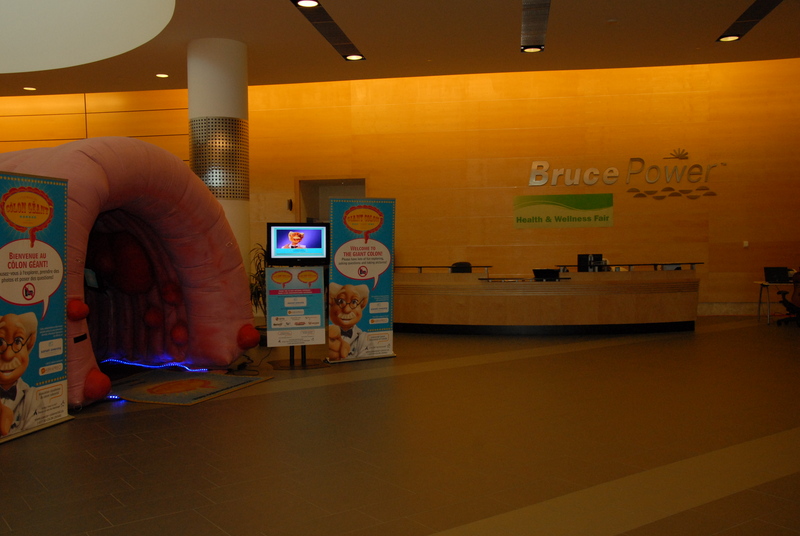 Click here for more information on Bruce Power’s event. 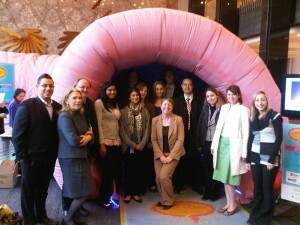 It’s a busy day at Queen’s Park! 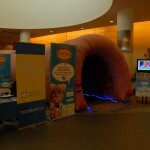 Check out more pics after the cut. 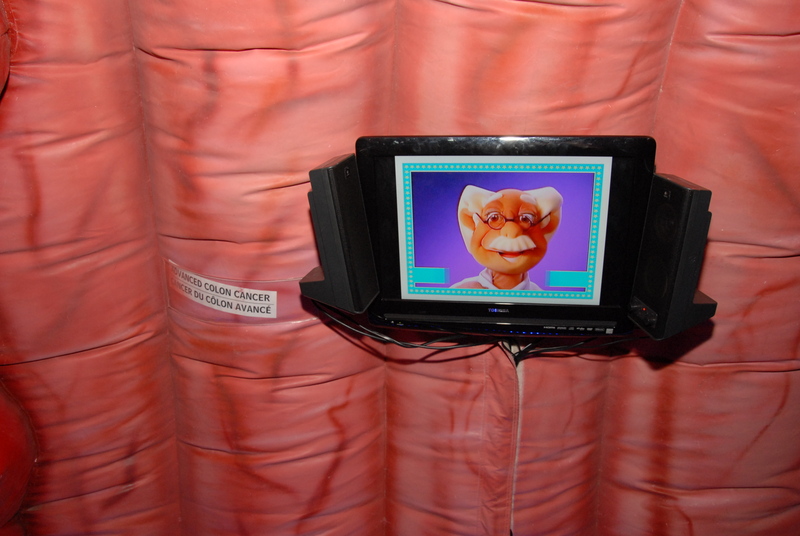 Nothing slips past you, Toronto! 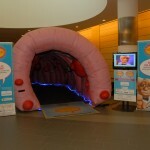 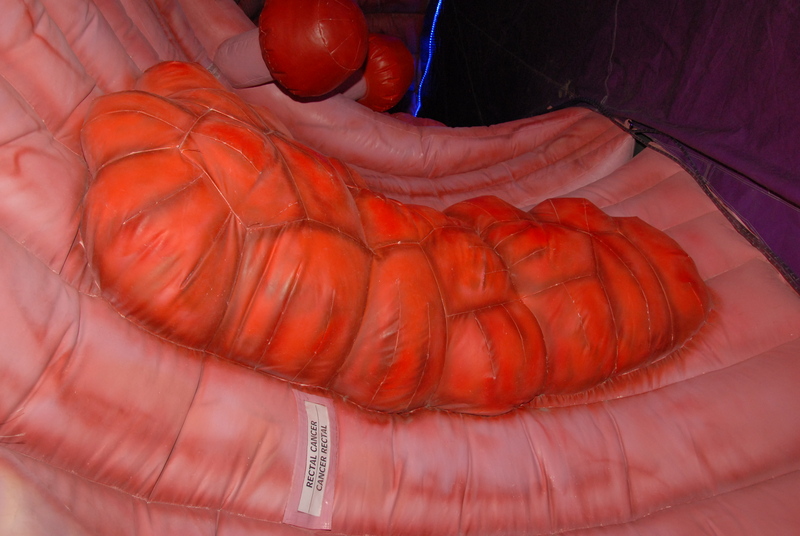 Coming up this weekend, the Giant Colon will be at Salon des Générations in Montreal, at the Olympic Stadium. 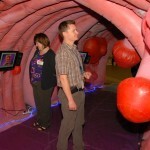 Entry to this trade show for all ages is free! 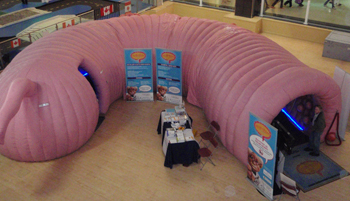 Then it’s on to Peterborough (March 23rd – 24th) and then Pembroke (March 26th – 27th) for Dr. Preventino and his knowledgeable sidekicks.